There is nothing better than awaking to the sound of a squealing baby!! She’s made it through another night protected and safe!! Greta is all better, no fever the past 2 nights in a row, but she’s still coughing and a little congested so we’re continuing with the quarantine. William is feeling a little better, but is still away. We all miss each other terribly. 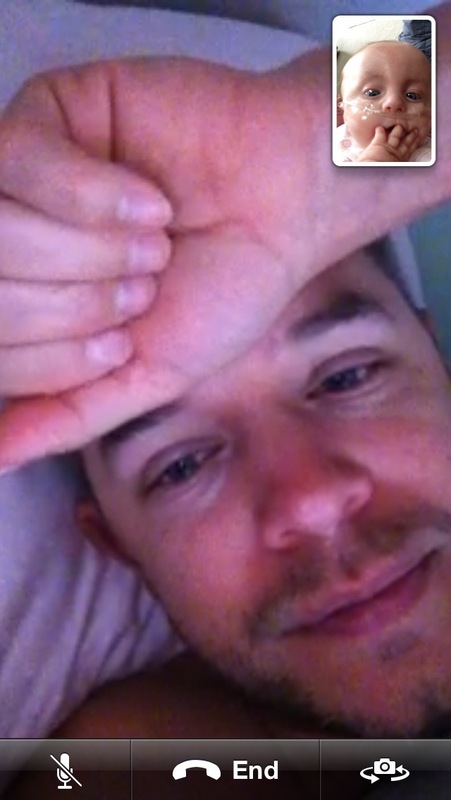 I’m so thankful for modern technology that allows us to stay in touch with one another! You should have seen Nora’s little face light up when she initially saw her Daddy on the screen and heard him talking cute to her!! She KNOWS and LOVES her Daddy so very much! You could tell she was so excited to see and hear him! Nora and Greta had some FaceTime sessions too. The sisters miss each other so so much! 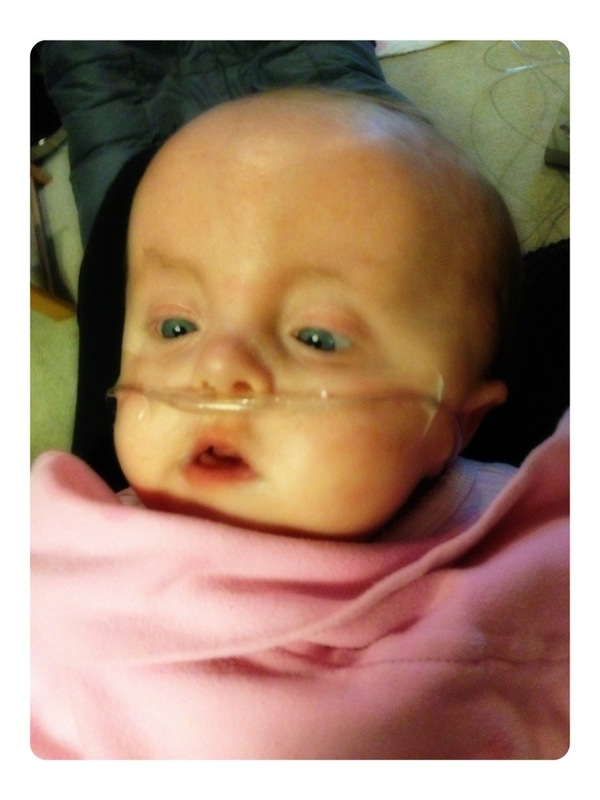 Nora got big-eyed and turned her head to see her sister. 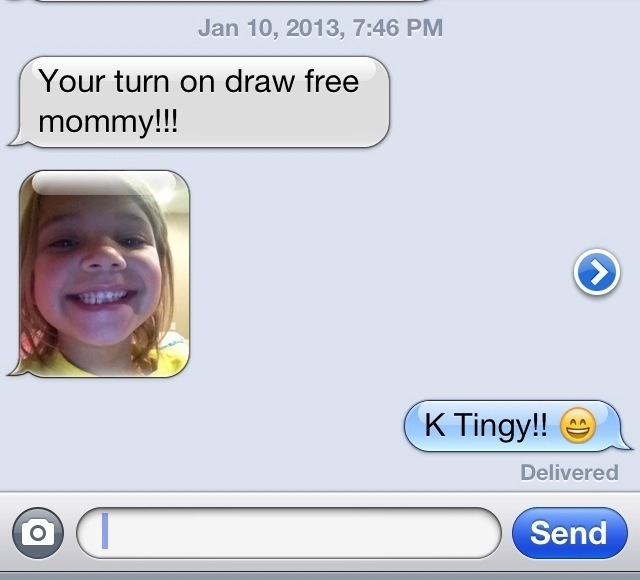 It is so sweet to watch them interact – even digitally! Greta and William have had their FaceTime sessions too. It’s the next best thing to being together, and I’m so thankful for this little bit of new (to us) technology! I get the sweetest text messages from Greta which is something new. 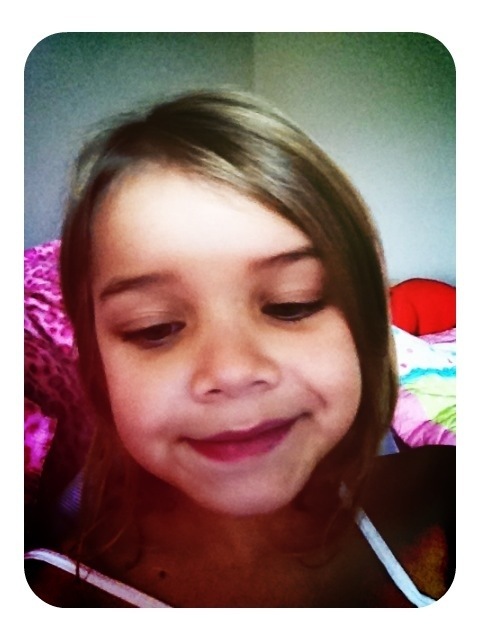 She even figured out how to attach a picture. 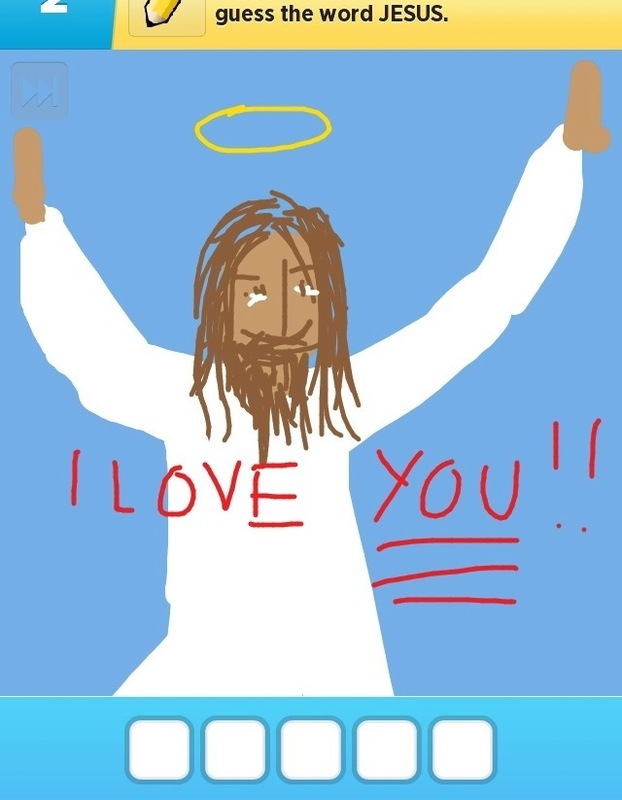 I love that one of the words to draw on Draw Something was ‘Jesus’. This is what I drew for Greta to guess. While I can’t stay downstairs and play a board game with Greta, we can at least play these little games through the phone and iPad, while tending to Nornor. This experience has given me a whole new appreciation for being together as a family. It has also been an indisputable illustration of God’s attentiveness to our prayers. He surely makes all things work together for our good, even though it might not seem possible at times. I know many of you are battling the flu in your families or are fearful of falling prey to it. In my moments of hysteria I was reminded that the number of flu cases being reported is not an indication of its severity. Yes, it’s a huge inconvenience, but it is not a particularly deadly strain. Yes, there are reported deaths, but that is not typical. I just read a story online about a flu related death, but upon further investigation the individual acquired a staph infection while in the hospital which lead to his death. Key word: “related”. If you catch the flu symptoms early you can get a prescription for tamaflu which halts the reproduction of the virus. This lessens the duration and severity of the virus (which supposedly the vaccination will also do if you get it prior to infection). Early symptoms for Greta and William were bad headache, chills and fatigue. We weren’t in a hurry to get to the doctor because we didn’t realize it was the flu. We all got our vaccinations back in November and assumed we were protected!! In reading on the CDC’s website I learned that the virus is more likely to be spread from an errant cough or sneeze, even up to 6 feet away, as opposed to surfaces. The flu virus only lives for a very short while on surfaces, but sometimes that’s all it takes. 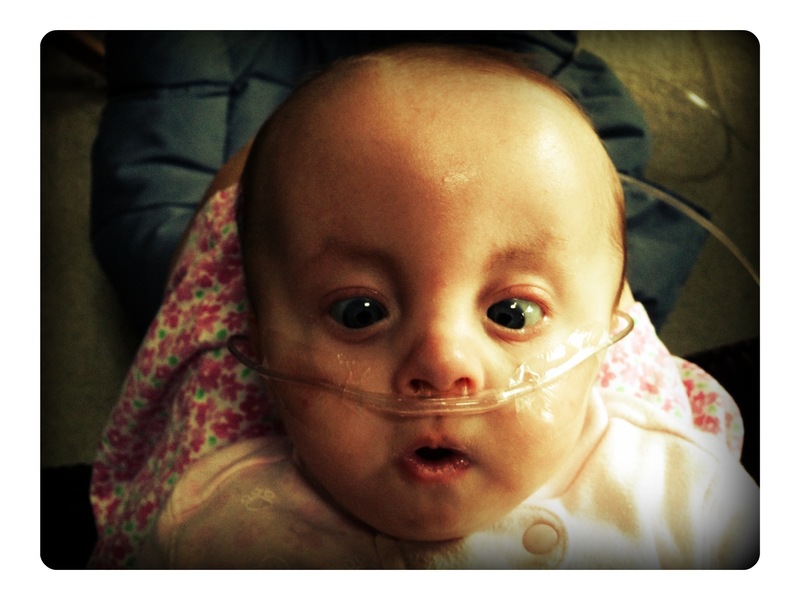 Up and down fevers have been very common, sometimes getting as high as 103.3° for Greta during the first few days. When it would go back down I assumed she was getting better. Before I realized it was the flu I was thinking about getting her back to school! This may be one of the reasons it is getting spread around so badly–you think you’re getting better and return to work/school, not realizing what you’ve got or that your symptoms are about to return! On CDC’s website it says the incubation period is about 3 days after your initial exposure. You are contagious for that time without even knowing you have the flu. After the onset of symptoms you are contagious for 5 – 7 days, sometimes longer for children. Greta has been fever free for the past 2 nights with only a sporadic lingering cough. Ordinarily I’d have sent her back to school with having been fever free for over 24 hours, but it’s not worth the risk of spreading it further. Today is officially the 7th day of her illness, but I plan on keeping her quarantined over the weekend just to make sure we’re doing everything we can to protect Nora. I wear a surgical mask around Greta as well as Nora. If I HAVE to go out, I will be the “Crazy Lady” wearing the surgical mask in the grocery store (maybe I’ll get out my leopard coat and try to land a spot on “People of Wal-Mart”. Wait. Is there a “People of Remke-Biggs”?) I also wash my hands and arms before and after spending time with each of the daughters. Clorox wipes, Lysol and waterless hand sanitizers are always within reach, and let’s not forget about the amazing, powerful effect of protective prayer!! A huge thank you to everyone who has been taking care of my hubzbind and the rest of the family through this bump in the road! I’m glad you get to connect via Facetime. Mariana got the flu, but since she had her vaccine, it only lasted 3 days and we were able to keep her airways clear with saline nebs and xclear. The whole Yusko family has our prayers for good health! ” People of Walmart” ( knew what Walmart is but didn’t know about the ” collection of creatures that grace us with their presence at Walmart”, thank you Wikipedia) and Remke -biggs ( local chain of supermarkets in Cinci). Anyway, if you happen to be one of those creatures at Remke in a leopard coat accesorized with the surgical mask ( let me suggest the addition of white latex gloves), please don’t forget to post the pics here. 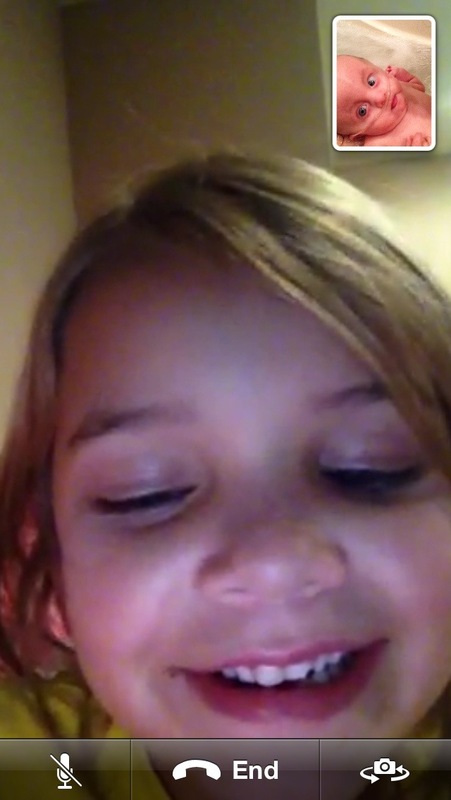 Love the pic of Nornor while looking at her Daddy on Facetime. She seems to be thinking : ooohhh, it’s Daddy !!!. Tooo cute . Love this!! You guys are so cute! I wish every family was as strong as yours. I will keep praying! God Bless! My 11 year old daughter has heart issues and caught the nasty stomach bug..She dehydrated in a matter of three hours…..Off to Childrens we went….Heart rate hovering at 185…Thank God for Zofran….Now Im so worried about my son who has Graves Disease and Asthma and thinks because he is 19 he is a “man”……He is off all of his meds for his Graves although he had zero traces of TSH in his blood in July….I have been worried sick about him….There is nothing anyone can do now that he is over 18….I cant sleep at night..Im so worried….All prayers would be greatly appreciated!!!! Zofran is wonderful! As for your son, is it an “image” issue or is it a financial issue? If it’s the former, I’m not sure how to convince him… I hate to say it, but it may take a crisis for him to realize he MUST take his thyroid meds. The thyroid is so critical in regulating other functions of the body that it will cause major problems if he continues without meds. It is a lifelong disease and there is no choice but to learn to live with daily medication – it does not make him any less of a “man”. My cousin is 20 and has type 1 diabetes complicated by Graves disease – if her TSH levels get out of whack, her blood sugars become literally impossible to control, and she’s landed in ICU more than once in a diabetic coma or in thyroid storm. She has finally come to understand that she MUST take the responsibility of making sure she has her daily meds, in the right dosage, without missing a beat. I hope your son learns to manage his disease instead of ignoring it and that he doesn’t hurt himself in the process. Stay strong and keep praying for his heart to change! A mermaid eye patch? How fitting! Love and prayer for you all!! Stay healthy, Aleisa! WOW!!!!! THAT SONG, I THINK, WAS ESPECIALLY WRITTEN FOR YOU AND WILLIAM. YOU TWO HAVE A SPECIAL LOVE FOR EACH OTHER AND FOR YOUR CHILDREN. BETWEEN YOUR STRONG LOVE FOR EACH OTHER AND FOR GOD, I BELIEVE EVERYTHING WILL BE A-OK!! 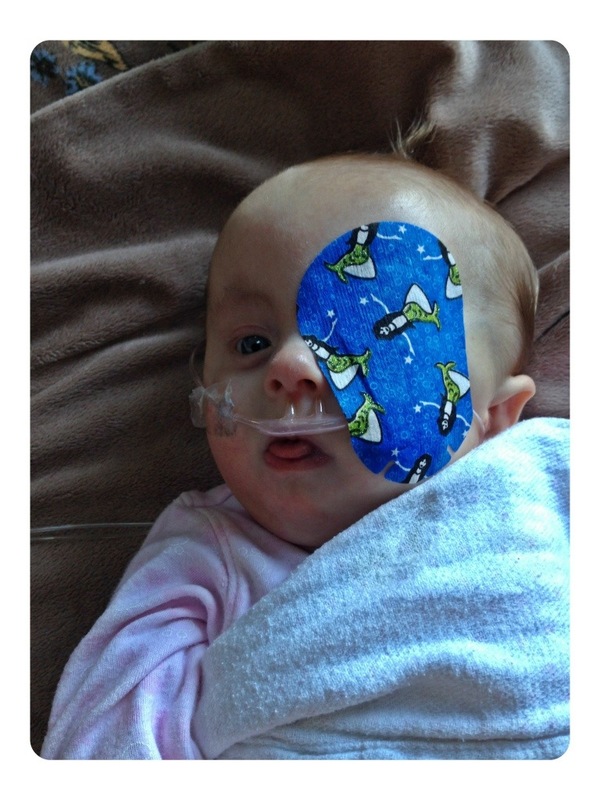 NORA “THE LITTLE PIRATE” IS ADORABLE WITH HER LITTLE PATCH. SHE IS SUCH A GOOD GIRL, LOOKS LIKE THE PATCH DOES NOT EVEN BOTHER HER. BLESS HER HEART. SO GLAD THAT DADDY AND BIG SISTER GOT TO TALK TO NORA VIA PHONE. NORA LOOKED SO EXCITED. POOR WILLIAM LOOKS SOOOO SICK, AND I DON’T THINK IT HELPS HIM FEEL BETTER HAVING TO STAY AWAY FROM THE PEOPLE HE LOVES SO MUCH, ALTHOUGH WE ALL UNDERSTAND IT IS REALLY NECESSARY. LOVE TO ALL. GOD BLESS.